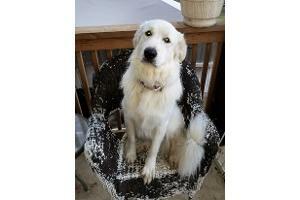 Delilah is just over two years old and such a beautiful girl. 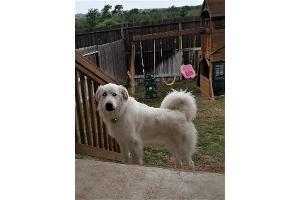 She has the typical Great Pyr looks and a sweet personality to match. 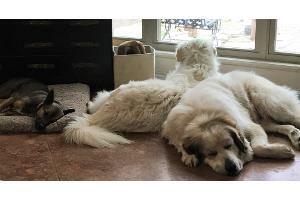 Delilah is being fostered in a home with two elementary school children, a Great Pyr male, and a smaller dog. 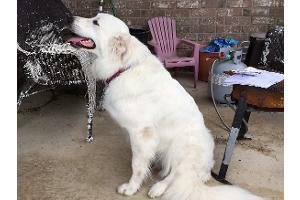 She loves to play out in the yard with the dogs and the kids love to hug her! 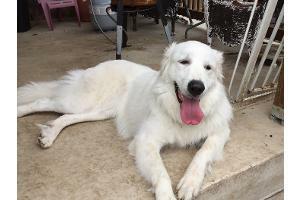 She will be a happy addition to the family that chooses her!